Providing a range of specialist products and services to the building, construction and the underfloor heating sectors. Since we were founded as John C Wilkins Floor Screeding in 1993 the company has expanded its areas of operation to include separate divisions specialising in acoustic flooring and acoustic supplies. The JCW Group now consists of four companies: JCW Floor Screeding, JCW Acoustic Supplies, JCW Acoustic Flooring and JCW Specialist Supplies, which focuses on the volume sourcing and supply of accessories and components for wet underfloor heating systems. Experts in floor screeding, from large commercial contracts to small scale self-build projects. Since our humble beginnings in 1993, JCW has grown to become one of the leading Floor Screeding and Acoustic Specialists in the UK. John C Wilkins Floor Screeding launched in 1993. Ever since, the company (which quickly became JCW) has continued to expand its areas of operation to include separate divisions specialising in acoustic flooring and acoustic supplies. In 2012 we launched a specialist supplies division which focuses on the volume sourcing and supply of accessories and components for wet underfloor heating systems. With four distinct businesses operating under the JCW brand, 2013 saw the formation of the JCW Group, with a new corporate identity for each part of the group reflecting each company’s diverse activities. Today, we remain the UK’s original floor screeding company, and one of the leading floor screeding and acoustic specialists in the UK. 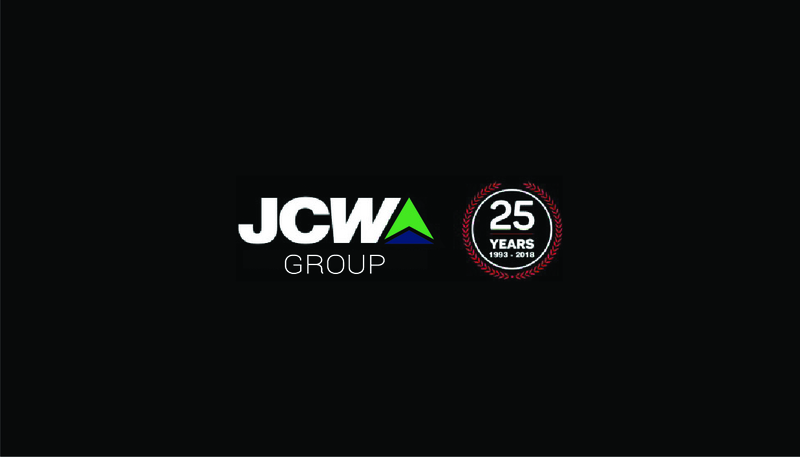 Our investment – in our company and our people – continues, as does our commitment to our clients, ensuring that when constructors, developers and shopfitters need screeding and acoustic solutions, their first call is to JCW. John C Wilkins, Managing Director, founded the company in 1993. Since it’s humble beginnings, JCW is now one of the leading floor screeding and acoustic specialists in the UK. To make an enquiry, simply complete the form below. We supply floor screeding for every application, from large commercial contracts to small scale self builders. Over the last twenty years JCW Floor Screeding has installed over half a million tonnes of ready mixed floor screed. Our floorscreeding portfolio is expansive. It ranges from screeding over underfloor heating in a home conversion through to the screeding of floors on large scale commercial and retail developments. At JCW Floor Screeding we pride ourselves on quality. To ensure our high standards are met we only use ready mixed, batch controlled proprietary screeds from leading suppliers like Tarmac, Cemex and Premier Mortars. This eliminates the problems associated with on-site mixing. Our programming of works and punctuality is second to none and we will coordinate the screeding works to smoothly fit with construction programmes and install deadlines. JCW Acoustic Supplies is a market leader in manufacturing and supplying the UK’s widest range of soundproofing and sound absorption materials. We pride ourselves on our technical knowledge and the quality of our technical service and back up. Our acoustic consultancy team contains knowledgeable and experienced individuals who know how to deal with any situation they encounter. They can design and recommend acoustic solutions needed to meet the legislation in Approved Document E of the Building Regulations 2004, successfully solving passage of sound issues in houses, flats commercial developments and other buildings. Heavy investment is made in new product development and an on-going programme of laboratory and on site sound tests carried out by accredited independent acousticians. The product range includes every soundproofing and sound absorption option for floors, walls and ceilings and has recently been extended to include movable walls and partitions, acoustic pods and even secondary glazing. JCW Acoustic Flooring is a leading installer of quality acoustic flooring systems to the construction industry. With 10 years experience, JCW Acoustic Flooring has the knowledge to ensure effective sound insulation on any new build, conversion and refurbishment project. Our highly qualified and dedicated team can provide comprehensive technical advice, whilst our professional acoustic flooring installers supply a flawless installation. JCW Acoustic Flooring provides a complete service from design through to installation. Installing a wide range of acoustic flooring systems, JCW Acoustic Flooring will ensure all floors comply with and exceed the latest Building Regulations, providing high standards of acoustic control against the transmission of impact and airborne sound. Our experienced management team are all SMSTS & CSCS qualified and every member of our on-site workforce is CSCS accredited and NVQ2 qualified as an Acoustic Flooring installer. This clearly demonstrates our on-going commitment to the importance of education, training and health & safety. JCW Specialist Supplies, launched in early 2013, offers a selected range of components and accessories to the growing market for wet underfloor heating systems. Our target customer base is the specialist underfloor heating merchant and distributor who supply the trade or contractor installer with components and accessories for this type of underfloor heating system. The current product range is focussed deliberately on those items which are used in large quantities across the wet system industry, with the emphasis on quick turn round of customer orders. Our massive warehousing capacity in Greater Manchester and strong JCW Group balance sheet gives us the ability to buy-in and hold stock, ensuring availability of supply. Close supplier relationships with original component manufacturers enable us to offer quality components at a highly competitive price point. JCW Specialist Supplies is a specialist division of the JCW Group focused on the supply of a core range of underfloor heating products. Customers include self-builders, heating contractors and installers and distributors of underfloor heating products. Copyright 2018 JCW Group - All rights reserved.